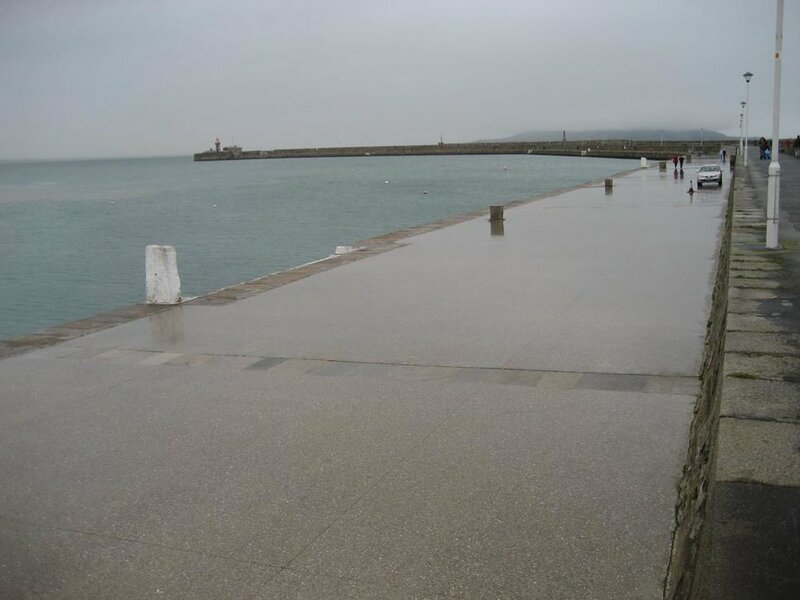 A major resurfacing project on the lower level of the East pier was completed in September 2005. 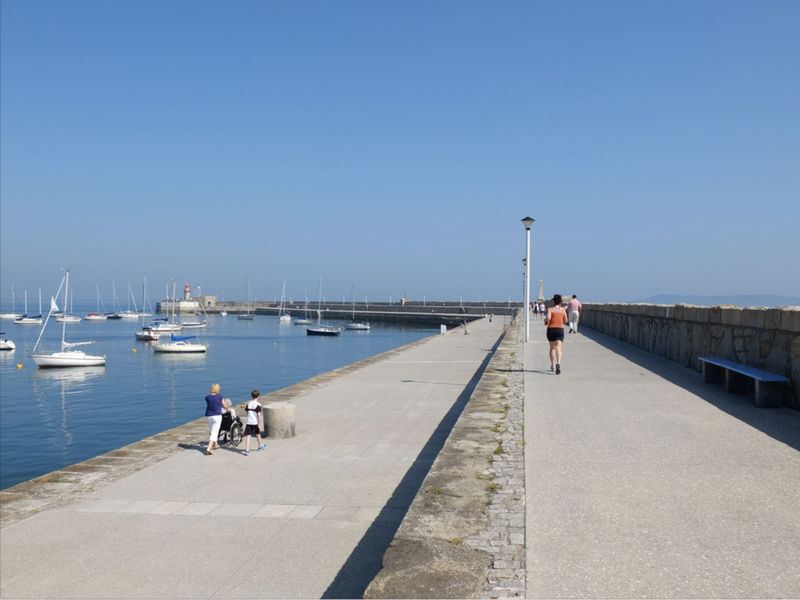 The concrete surface is made up of a mix of aggregates that includes marine aggregate from Wexford, Wicklow aggregates and crushed seashell. Carlow granite (which is of the same geological formation as the Dalkey/Dun Laoghaire granite used in the original pier) was used in bands to articulate the concrete panels and facilitate the location of expansion joints. The second phase of works, which involves the resurfacing of the upper level, is due to begin in February 2008. As part of the East Pier resurfacing, an analemmatic sundial has been installed in the northern dolphin panel in Berth No.1. The sundial comprises a series of bronze discs forming an ellipse around the central bronze panels containing instructions, a dedication and a calendar. The user stands on the relevant month panel and their resultant shadow falls upon a disc that indicates the time of day. Certain calculations, detailed on the panel, outline the adjustments necessary to discern the exact time. The corroded iron railings along the upper section of the East Pier have been replaced with stainless steel versions in a similar profile. The extent of railing was increased to provide a handrail to selected steps between the upper and lower levels, to facilitate easier use of the steps. 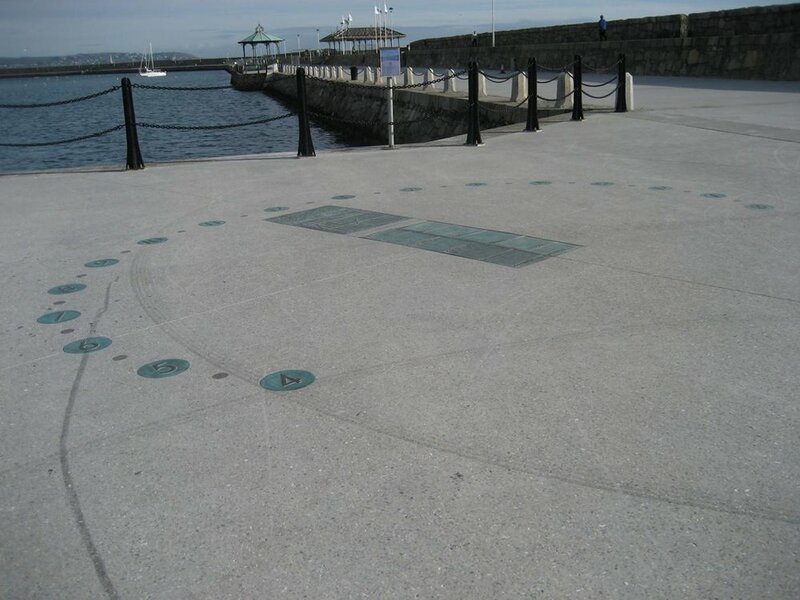 "As part of the East Pier resurfacing, an analemmatic sundial has been installed in the northern dolphin panel in Berth No.1. The sundial comprises a series of bronze discs forming an ellipse around the central bronze panels containing instructions, a dedication and a calendar. The user stands on the relevant month panel and their resultant shadow falls upon a disc that indicates the time of day. Certain calculations, detailed on the panel, outline the adjustments necessary to discern the exact time. The corroded iron railings along the upper section of the East Pier have been replaced with stainless steel versions in a similar profile. The extent of railing was increased to provide a handrail to selected steps between the upper and lower levels, to facilitate easier use of the steps."